MR. HO KIAN GUAN, Independent Director and Chairman of the Board of Directors and Member of the Audit Committee. None of the Directors has any family relationship with one another, any substantial shareholder of the Manager or any Substantial Unitholder. Mr. Ho is the Executive Chairman of Keck Seng (Malaysia) Berhad since 1970 and also of Keck Seng Investments (Hong Kong) Limited since 1979. He is also a Non- Executive Director of Shangri-la Asia Limited since 1993 and is a member of the Shangri-la Audit Committee. He was previously the Director of Parkway Holdings Limited/Parkway Pantai Limited from 1985 to 2013 and was the Chairman of the Tender Committee. Mr. Ho graduated with a Bachelor’s degree in Business Administration and Commerce from Nanyang University, Singapore in 1965. 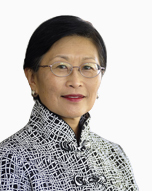 Dr. Jennifer Lee serves on the boards of Parkway Trust Management Limited and The Esplanade Company Ltd.
Dr. Lee was the Chief Executive Officer of KK Women’s and Children’s Hospital from 1991 to 2004. 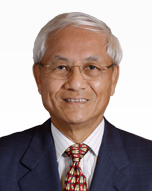 Before joining KK Hospital, Dr. Lee was the Chief Operating Officer of Singapore General Hospital from 1988 to 1991 during the period of its corporatisation, and prior to that had served in the Ministry of Health in various portfolios. Her most recent work has been in development of the ageing sector, as Senior Consultant with the Ministry of Health’s Ageing Planning Office from 2007 to 2015, and Chairperson of the Agency for Integrated Care from 2009 to 2018. Dr. Lee graduated with a medical degree in 1976 from the University of Singapore, and obtained her Masters in Business Administration from the National University of Singapore in 1986. Ms. Cheah is currently Operating Partner at Wavemaker Partners, a tech-focused venture capital fund dual headquartered in Singapore and Los Angeles. She is responsible for helping portfolio companies with business development, capital raising and eventual exits. 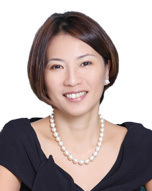 Ms. Cheah previously spent more than 20 years in the investment banking industry. She started her career with Merrill Lynch New York, followed by stints in Singapore and London. Subsequently she became Executive Director of Investment Banking at JP Morgan Singapore and later served as Co-head of Corporate Finance SEA at BNP Paribas. Ms. Cheah holds a B.A. in Economics and French from Wellesley College. Dr. Tan See Leng is the Managing Director and Chief Executive Officer of IHH Healthcare Berhad (IHH). He provides strategic direction and leadership for overall operations within IHH and its largest operating subsidiary, Parkway Pantai. Under his stewardship, IHH has grown its footprint to more than 50 hospitals in 10 countries worldwide. He has over 27 years of experience in the healthcare industry. As a young entrepreneur, he founded a private primary health group at 27 and subsequently developed it to the second largest primary healthcare group in Singapore before selling the stake to one of the leading global health-plan providers. A passionate supporter of improving healthcare provision through innovations and private-public collaboration, Dr. Tan has guest lectured at the Harvard Business School’s healthcare management seminar series. He also provided advisory inputs to Singapore Ministry of Health on the Medishield Life Review Committee and other government agencies such as Department of Health, National Health Services (United Kingdom). 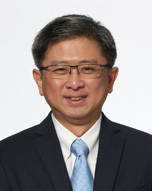 Dr. Tan maintains active involvement in academia through board memberships and appointments such as Adjunct Assistant Professor of Duke-NUS Graduate Medical School Singapore, Office of Education and Advisory Board of Lee Kong Chian School of Business at Singapore Management University. 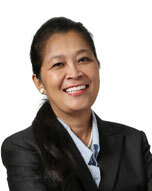 Dr. Lim is the Group Chief Operating Officer of IHH Healthcare Berhad. Dr. Lim has more than 30 years of experience in healthcare management. 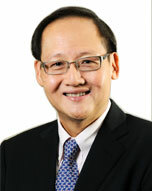 Before joining Parkway in 2011, he was the CEO of the National Healthcare Group and Tan Tock Seng Hospital (TTSH). In this role, he was substantively involved with the Nanyang Technological University (NTU) and Imperial College (London) collaboration, to form the NTU Lee Kong Chian School of Medicine. Dr. Lim led the TTSH team through the SARS crisis, when it was designated as the SARS hospital for the whole of Singapore. For his leadership, he was awarded the Public Service Star by the President of Singapore. Before this, Dr. Lim held the positions of CEO of the National University of Hospital and COO of KK Women’s Hospital. Dr. Lim was past Chairman to the Board of Joint Commission International (JCI), the world’s leading international healthcare accreditation organization. Dr. Lim was also previous Chairman of Johns Hopkins International Medical Center (Singapore), and served on the Boards of the Ministry of Health Holdings Pte Ltd, National University Health System Pte Ltd and Singapore’s Nursing Board. He headed several Ministry of Health committees including the review of the country’s Medishield Insurance scheme in 2005. 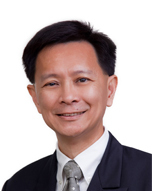 Dr. Lim is currently a Honorary Secretary in the Council of the Singapore National Employers Federation. A doctor by training, Dr. Lim also has Masters in Business Administration and Masters in Public Health from the University of California, Los Angeles (UCLA). Ms. Rossana was appointed as Non-Executive Director of Parkway Trust Management Limited, an indirect wholly-owned subsidiary of IHH Healthcare Berhad. Parkway Trust Management Limited manages Parkway Life Real Estate Investment Trust which is listed on the Singapore Exchange Securities Trading Limited. She also serves on the Board and Board Committee of Acibadem Saglik Yatirimlari Holding A.S., an indirect subsidiary of IHH Healthcare Berhad. Ms. Rossana concurrently serves as a member of the Investment Panel and the Investment Panel Risk Committee of Malaysia’s Employees Provident Fund. In 2016, she was appointed Country Chairman of the Jardine Matheson Group of Companies in Malaysia. Subsequently she joined the Board of Cycle & Carriage Bintang Berhad, a member of the Jardine Matheson Group, as Non-Independent Non-Executive Director. She was also appointed as an Independent Non-Executive Director of edotco Group Sdn Bhd in May 2016 and Independent Non-Executive Director of Celcom Axiata Berhad in May 2017, both are subsidiaries of Axiata Group Berhad. Prior to her current roles, Ms. Rossana was a career professional holding leadership positions in the telecommunication and banking sectors. She previously served in various senior management roles with TIME dotcom Berhad, Maxis Berhad and RHB Bank Berhad, after beginning her banking career with Citibank Malaysia. With a combined 30 years of experience, Ms Rossana has broad experience in business strategy, identifying sustainable monetisation models, understanding customers and competition, as well as the need for reviewing monetization models focusing on both revenue management and cost management. Ms. Rossana graduated in Bachelor of Arts in Banking and Finance from Canberra College of Advanced Education, Australia (now known as University of Canberra). Mr. Low Soon Teck, practised as a solicitor in Singapore at a boutique firm from 1991 to 1993, focusing on corporate and banking laws. Mr. Low then joined the Kuok/ Kerry Group in 1994, based in Hong Kong holding various senior positions in different businesses within the Kuok/Kerry Group including as the Director of China Operations at SCMP Group, publisher of the South China Morning Post, where he was responsible for business development, newspaper publishing and circulation operations, and managing a chain of retail convenience stores. Mr. Low relocated to Singapore in 2005, as the Group Financial Controller of Kuok Oils and Grain Pte Ltd, which was subsequently merged with Wilmar International Limited in 2006. At Wilmar International Limited, he held the position of Group Treasurer until 2009. He was then appointed Chief Financial Officer (“CFO”) of PACC Offshore Services Holdings Group, the offshore marine arm of the Kuok/ Kerry Group. In 2013, he joined RCMA Group, a commodities supply chain management company as CFO, a position that he held until 2015. He has over 20 years of experience in finance, legal and general management at leadership roles. 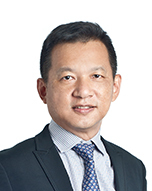 Mr. Low assumed the position of Group CFO of IHH Healthcare Berhad on 10 January 2016. Mr. Low graduated from the National University of Singapore and is admitted to the Singapore Bar. Mr. Low obtained his Masters in Business Administration from the University of Chicago, Booth School of Business. He is also a member of Law Society of England and Wales. Mr. Yong is the Chief Executive Officer (“CEO”) and Executive Director of Parkway Trust Management Limited, the manager of Parkway Life REIT. He joined Parkway Trust Management Limited as CFO in February 2008 and was promoted to CEO in December 2008. Mr. Yong was previously the CFO of the Singapore Tourism Board, overseeing its finance and corporate services functions. Prior to that, he was the CFO of Ascendas Pte Ltd (Ascendas). During his tenure with Ascendas, he was seconded to China-Singapore Suzhou Development Ltd and Singapore-Suzhou Township Development Pte Ltd as the CFO in Suzhou, China. Before joining Ascendas, Mr. Yong held other finance and audit positions in Beijing ISS International School, Housing and Development Board and Arthur Andersen. Mr. Yong graduated from the National University of Singapore with a Bachelor of Accountancy (Honours) and was conferred a Fellow Chartered Accountant of Singapore by the Institute of Singapore Chartered Acccountants (“ISCA”). He has also completed the Advanced Management Programme with Harvard Business School.